People often associate April as the month full of showers: bridal, baby, and rain. Dentists tag April as awareness month. Not only is it Oral Cancer Awareness and Alcohol Awareness Month, but it is also National Youth Sports Safety Month. Statistics show that most sports injuries can be avoided to some degree with proper education, but most importantly, with proper equipment. The face is the most vulnerable area of the body and often has the least protection. Approximately 11-40 percent of all sports injuries involve the face. Most facial injuries are the result of player-to-player contact or being hit with a ball. Mouthguards decrease the risk of mouth, jaw, and brain injuries. When an athlete receives a strong enough blow to the jaw, the head can snap backwards and result in a spine injury or concussion. A concussion results when the hit causes the delicate neural tissue to tear, stretch, and collide with the skull. Even a small concussion can lead to brain damage. The brain suffers a greater level of damage with each concussion an athlete sustains. Some parents believe that mouthguards should only be worn for football and hockey. The fact of the matter is that all athletes who are likely to sustain an injury to their teeth or mouth should wear a mouthguard. Mouthguards can be purchased at any sporting goods store. However, these guards provide the least amount of protection. The most effective mouthguards are fitted by a dentist. I’m Dr. Randy Lafrom of LaFrom Dentistry in Cupertino, CA. In honor of National Youth Sports Safety Month, I am running a special of $50 off custom-fitted sports guards. Contact our San Jose area dentist office at (408)996-8595 to schedule an appointment for your fitting. 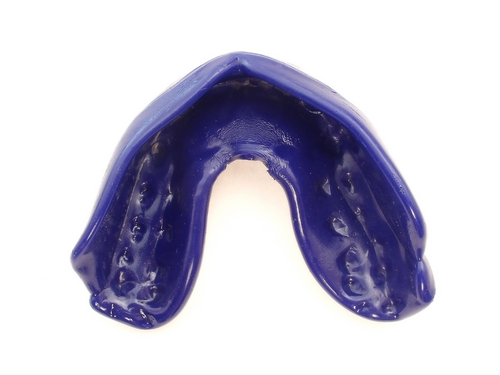 Protect your child from orofacial injuries with a sports mouthguard. Orofacial injuries can create a lifetime of dental costs! ~ by cupertinodentist on April 15, 2011.